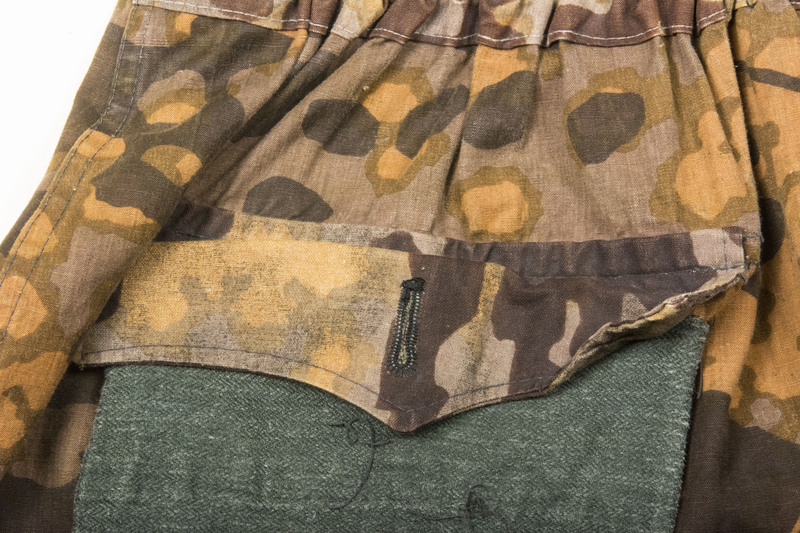 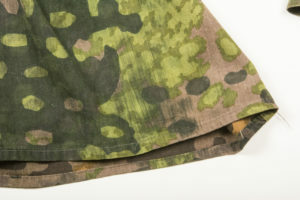 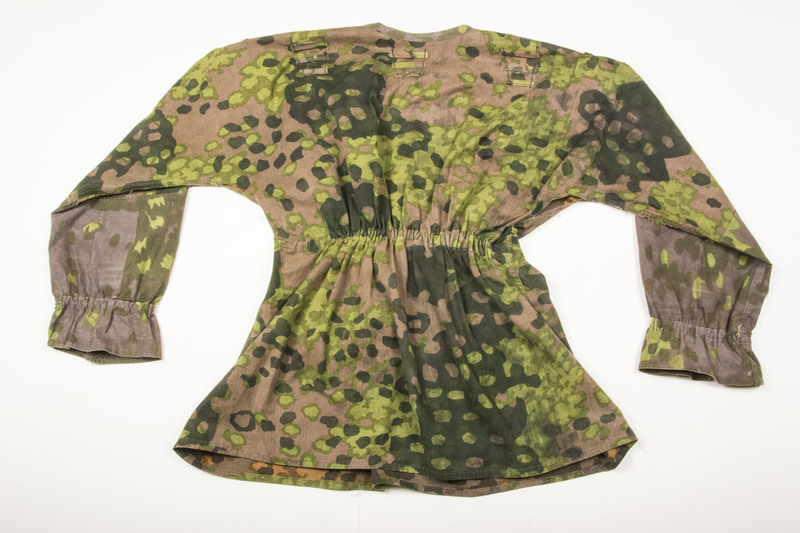 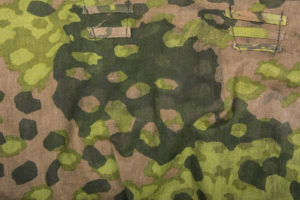 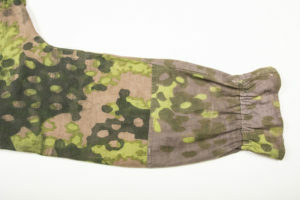 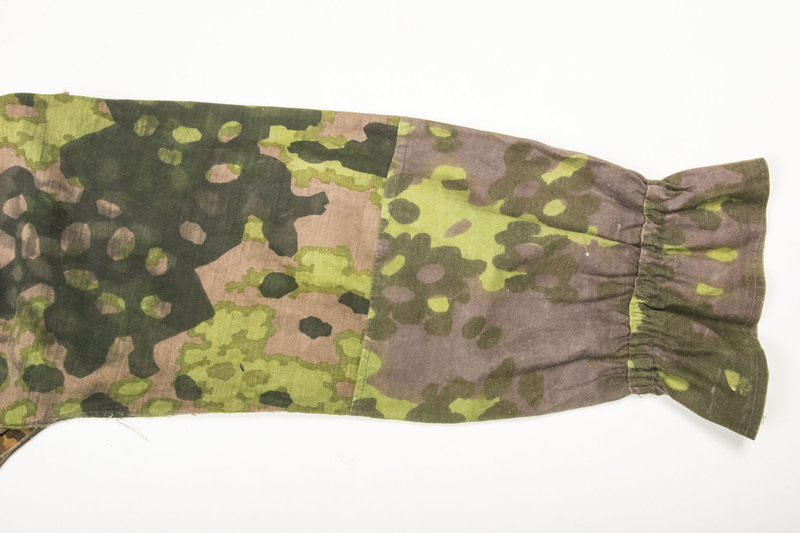 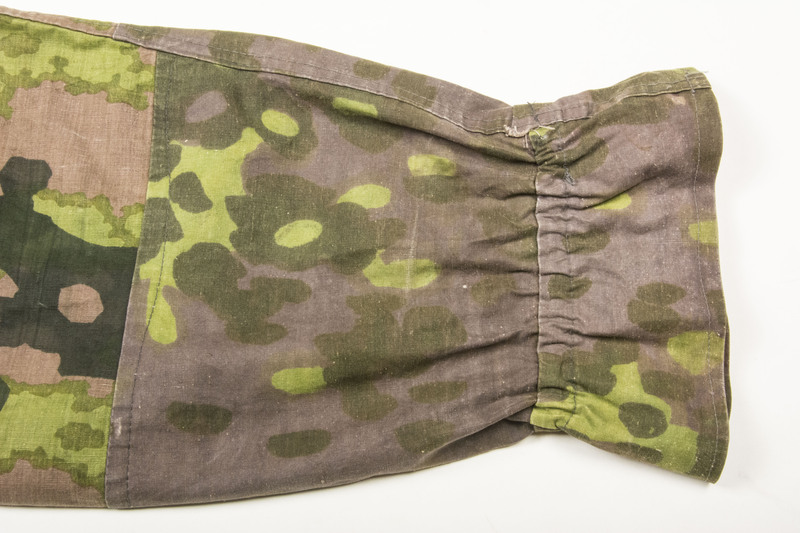 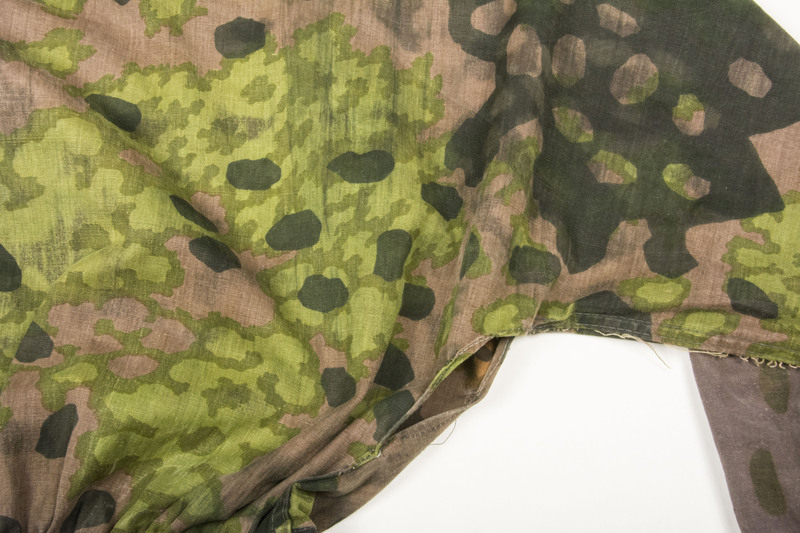 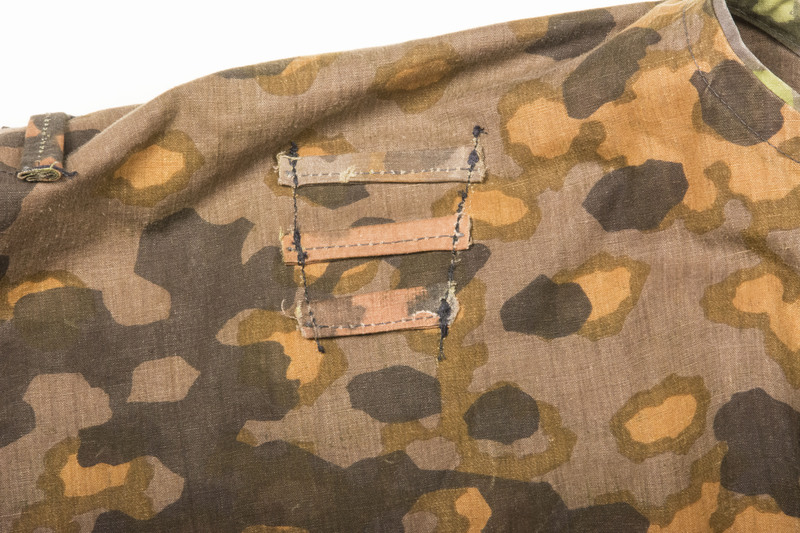 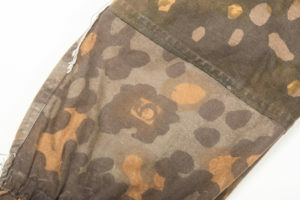 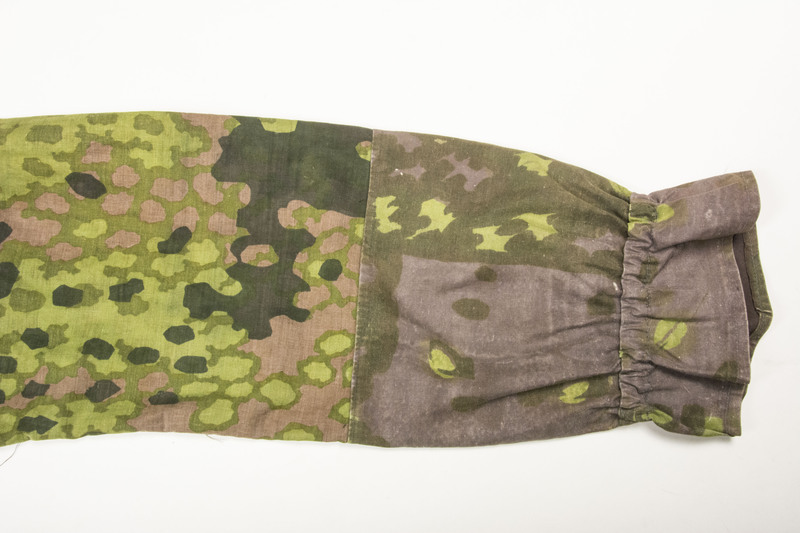 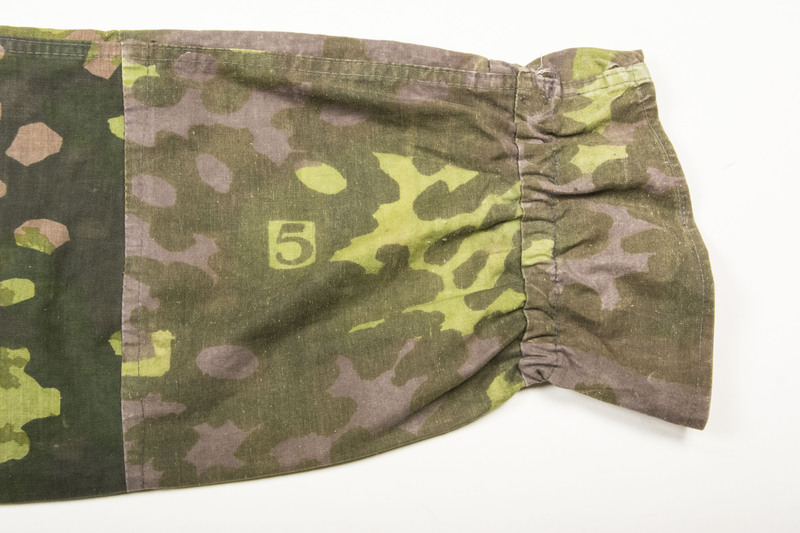 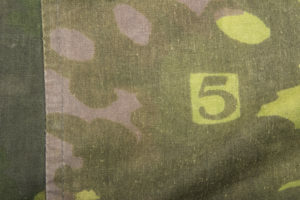 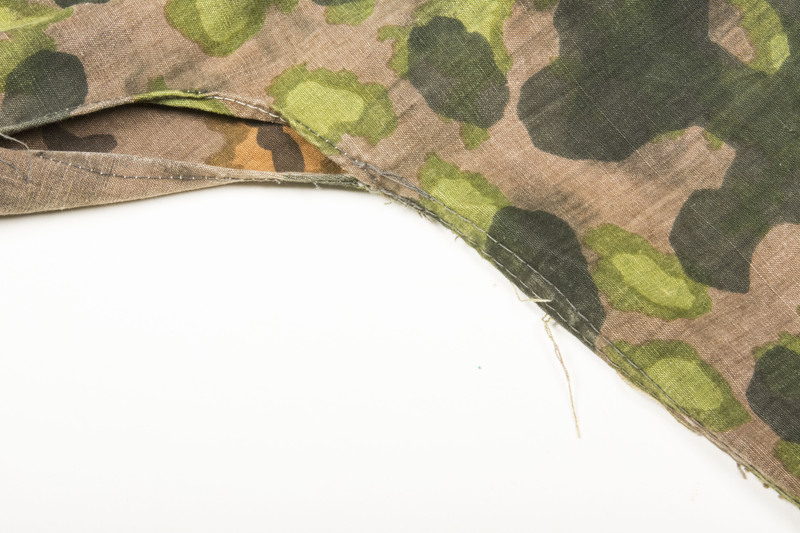 Material: Reversible late Plane tree 1/2 or Platanenmuster overprint camouflage printed on so called Makostoff. Colour: Late Plane tree 1/2 or Platanenmuster overprint camouflage, one side with brown tints and the other with greens. 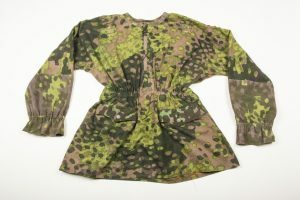 This was reversible to camouflage in all seasons. A stunning original Waffen-SS plane tree 1/2 overprint smock in mint/unissued condition. 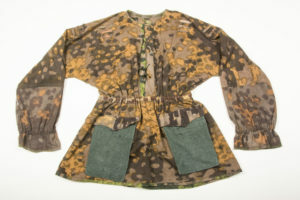 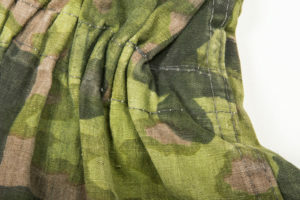 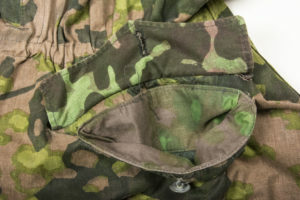 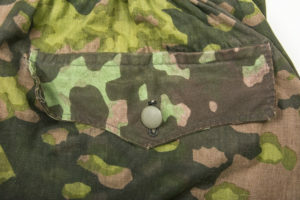 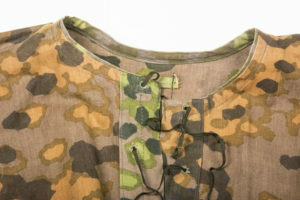 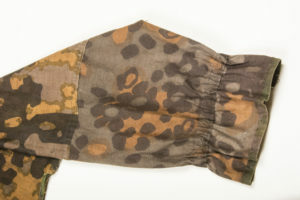 The smock is a typical M42 type 1 smock with straight pockets. 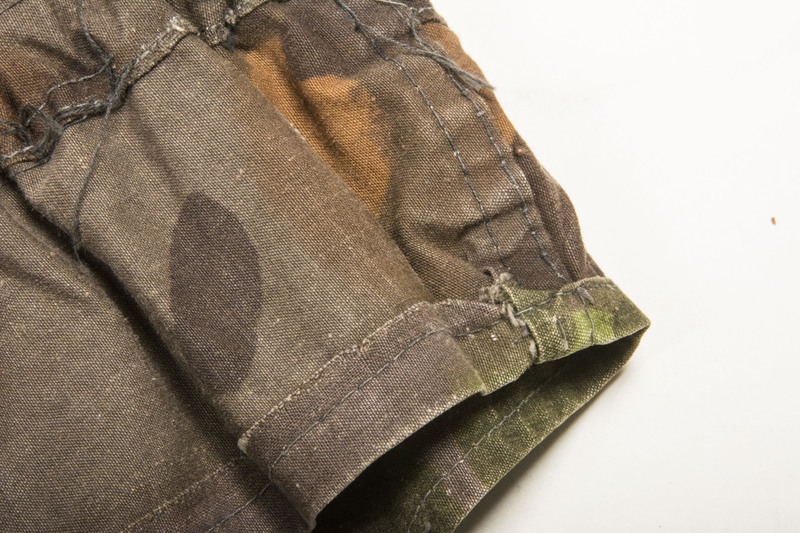 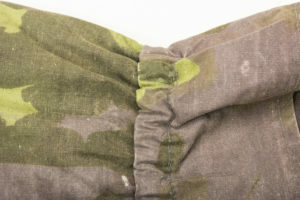 The pockets are lined with field grey Drillich material with blurred edge pocket flaps. 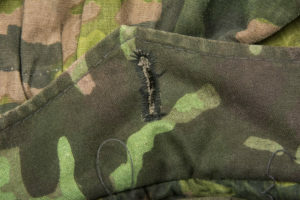 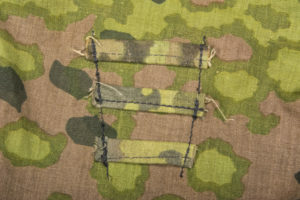 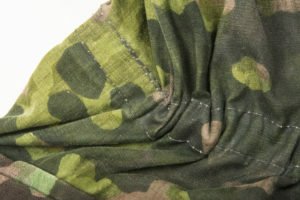 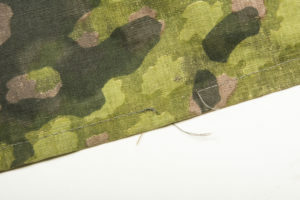 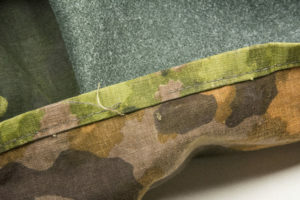 The garment is typically sewn on the sides with a double needle seam and the rest finished with a single needle machine. 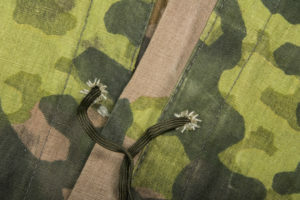 The rayon drawstring is woven through handsewn holes. All of the foliage loops are fully intact. 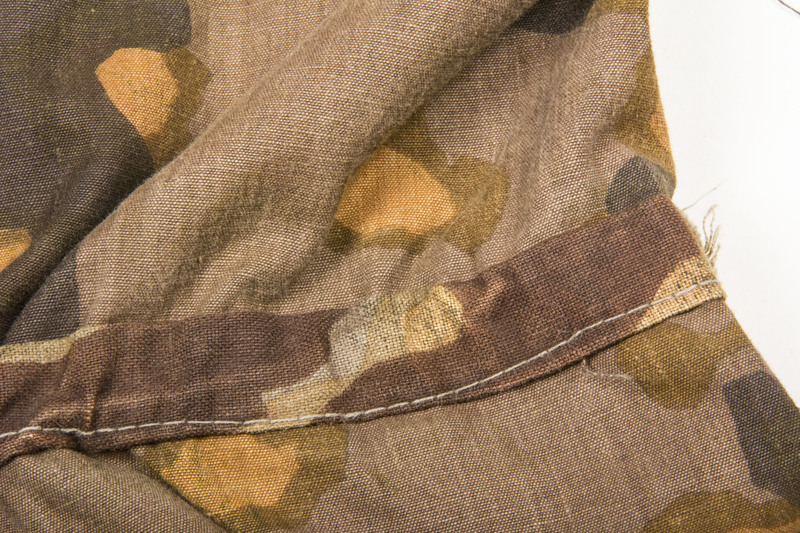 The sleeves are finished with hand screened 5/6 plane tree. 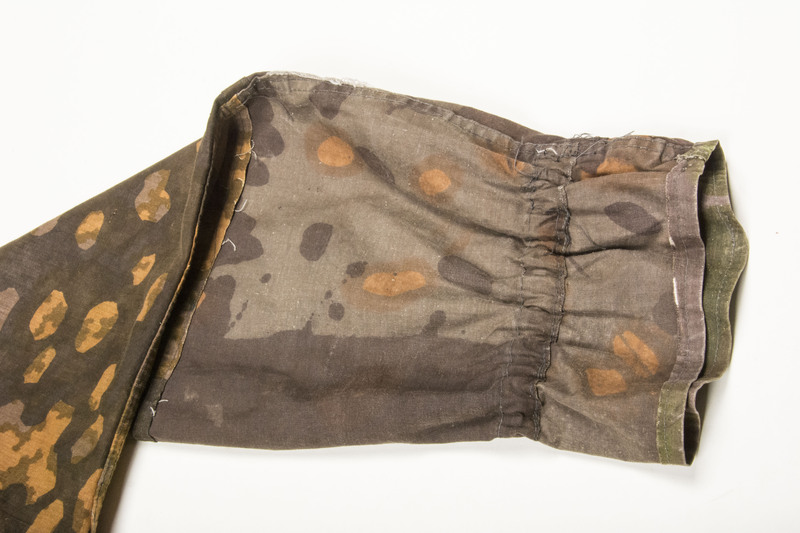 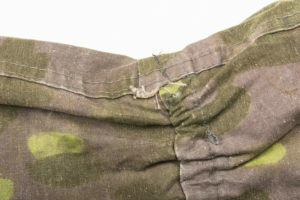 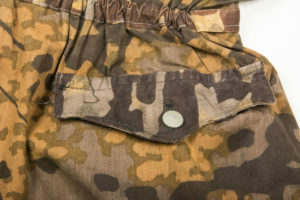 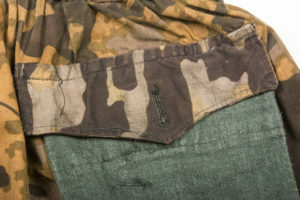 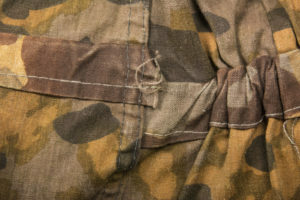 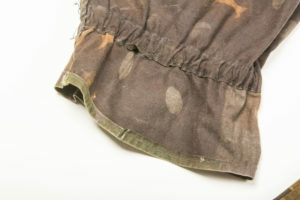 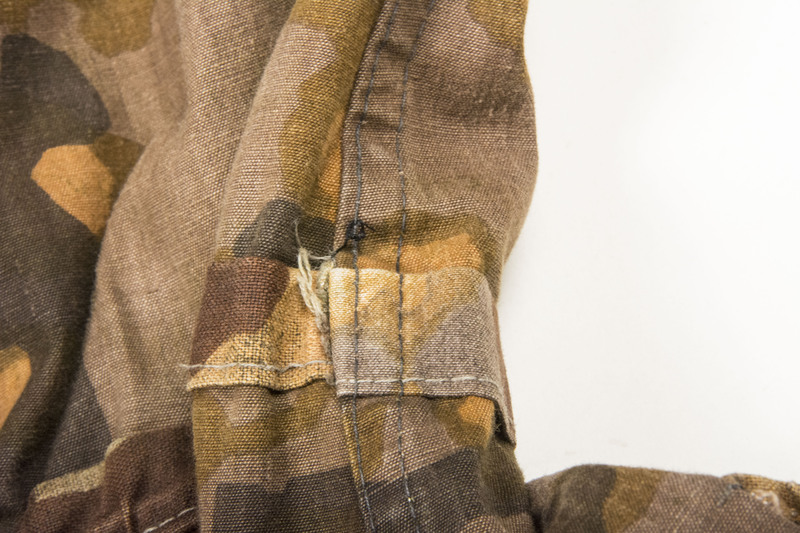 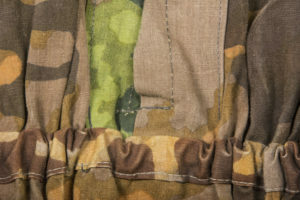 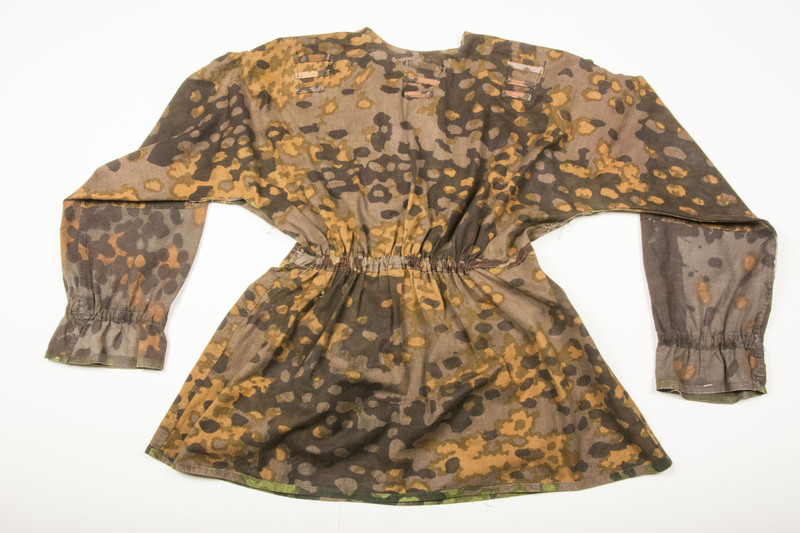 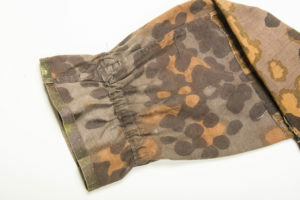 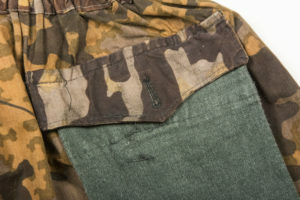 The elastic on the sleeves and waist is still in functional condition and has never been removed or replaced. 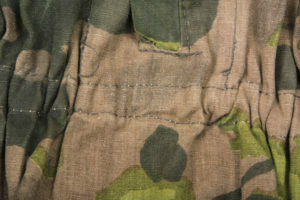 The smock does not have any damages or holes. 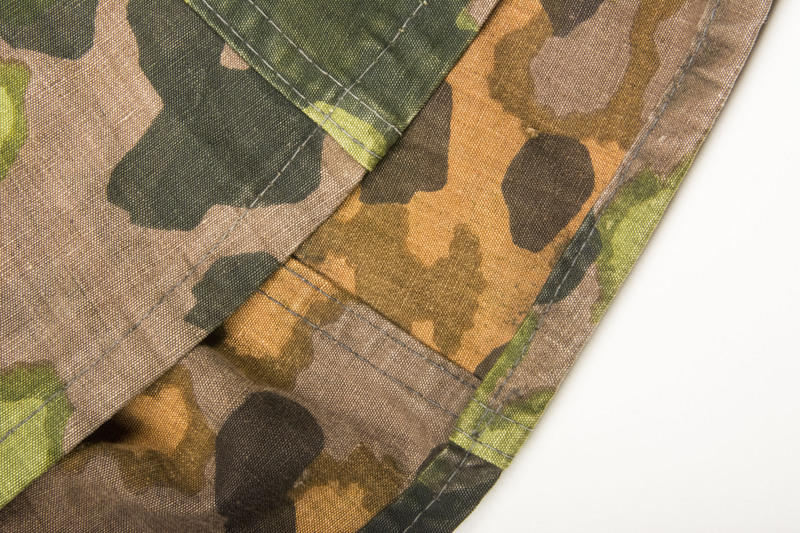 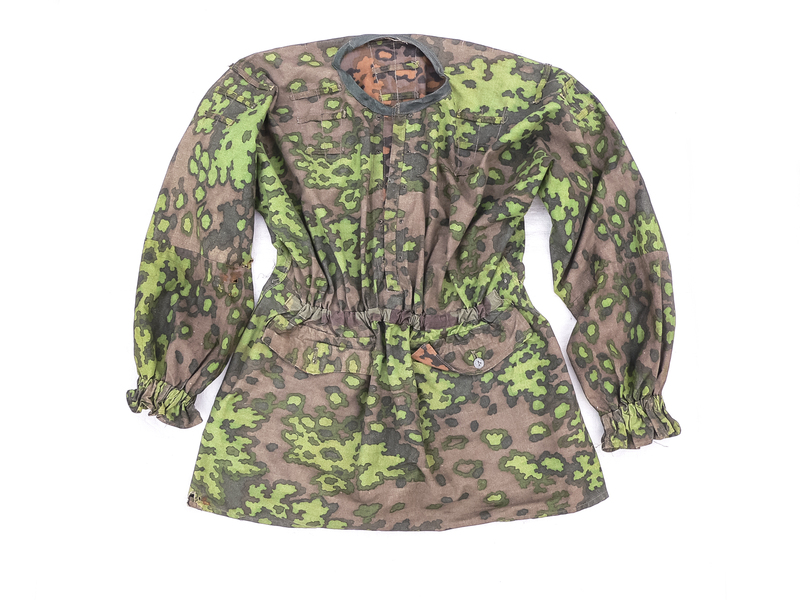 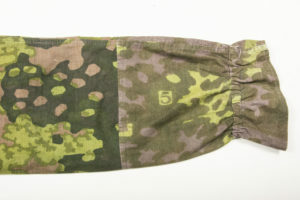 The camouflage print is strong and full of contrast and the colours very vibrant. 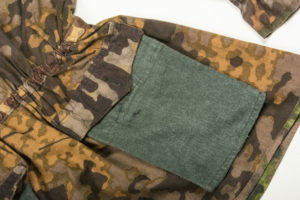 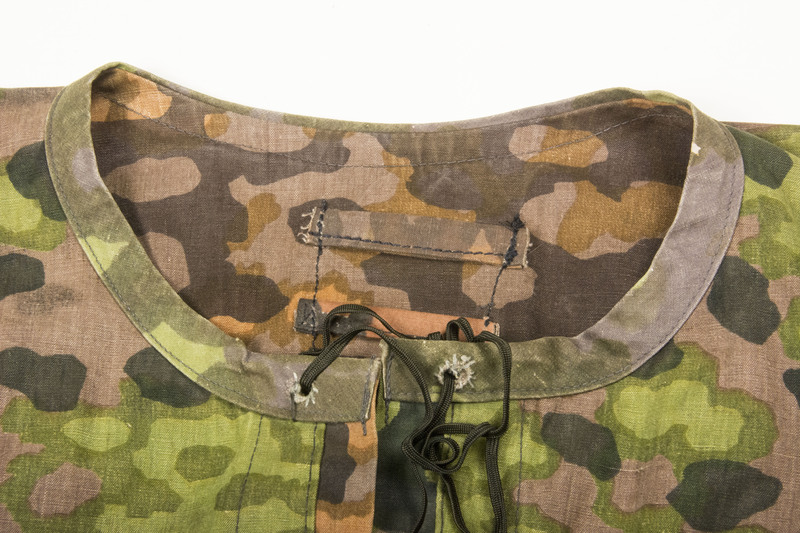 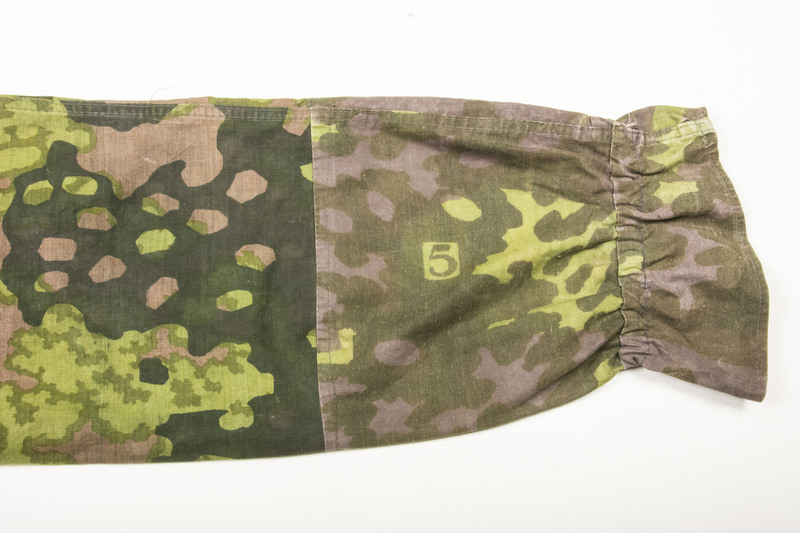 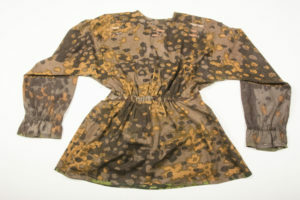 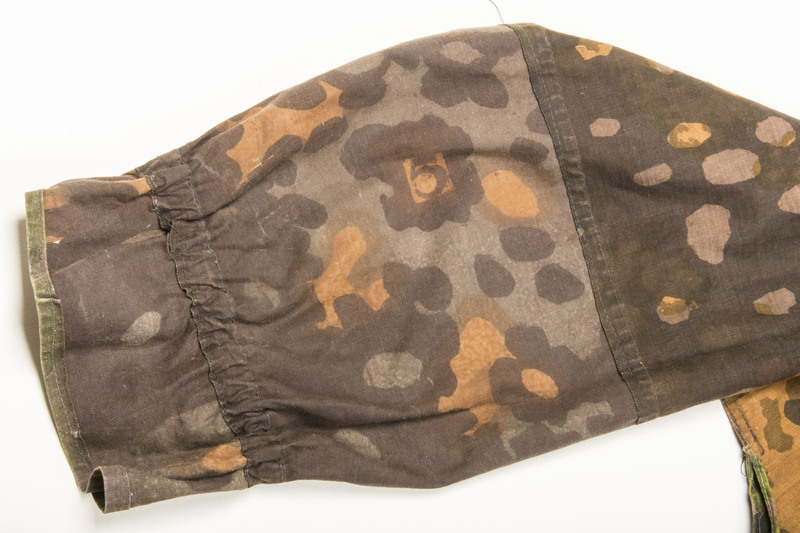 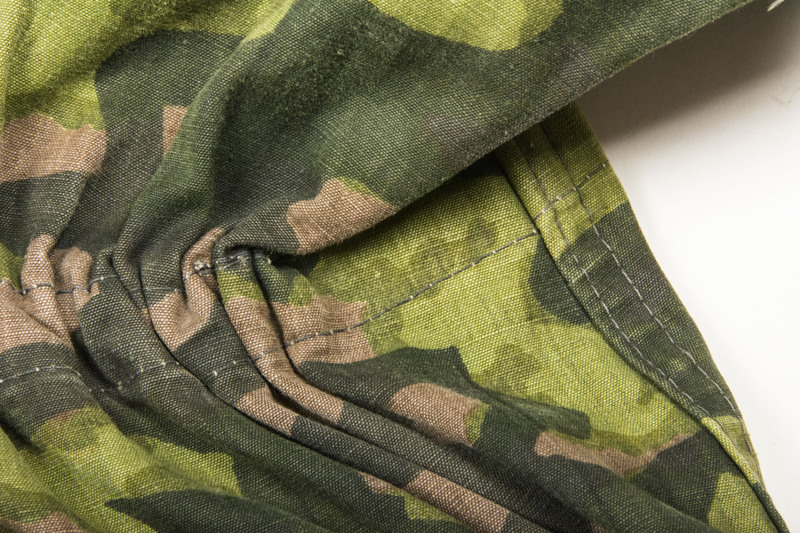 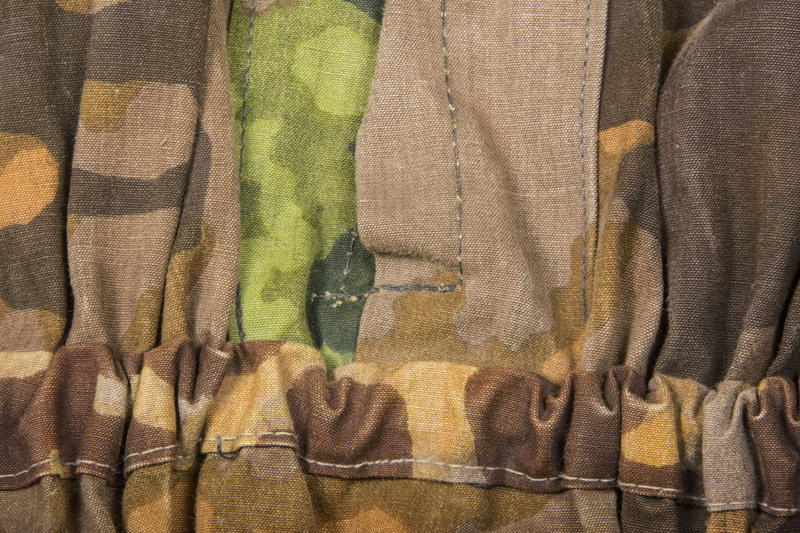 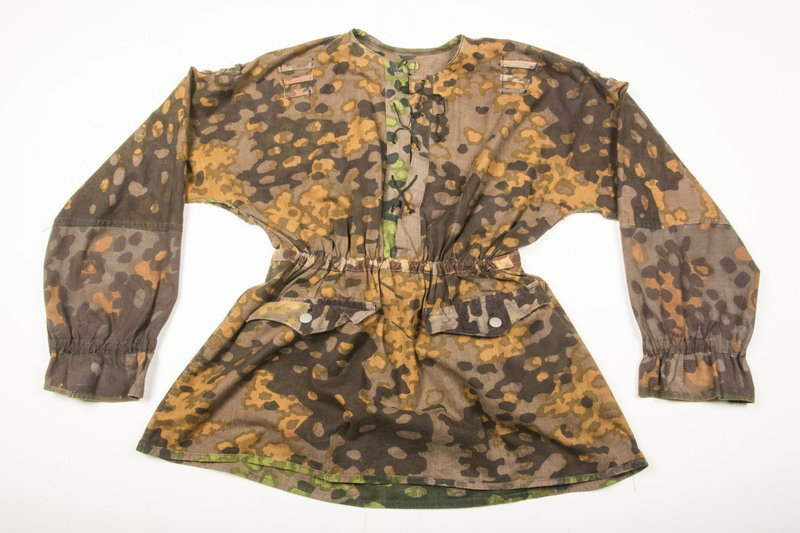 The smock would be a prime piece in any camouflage collection and would be very hard to upgrade.